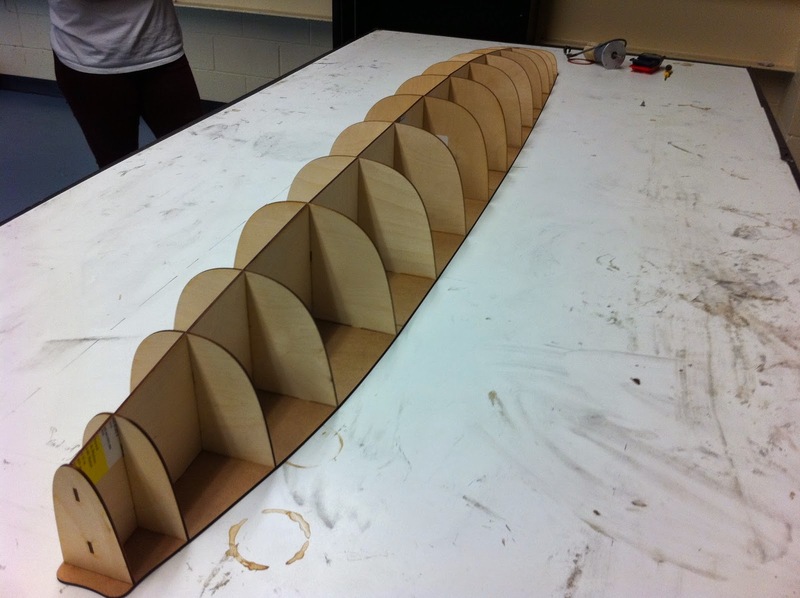 A new semester has come which marks our transition from the design phase to the construction phase of our new boat. During the last Fall semester, the design team conjured up a new hull, rudder, bulb and sailplan as well as redesigning the electrical system. 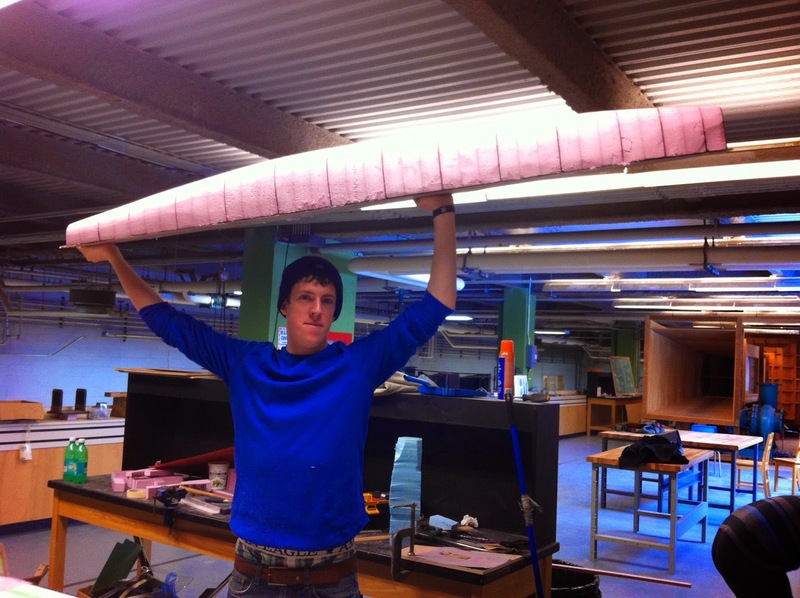 Druring this Winter semester, these components of our boat will be constructed and then put to the test (when the ice melts). 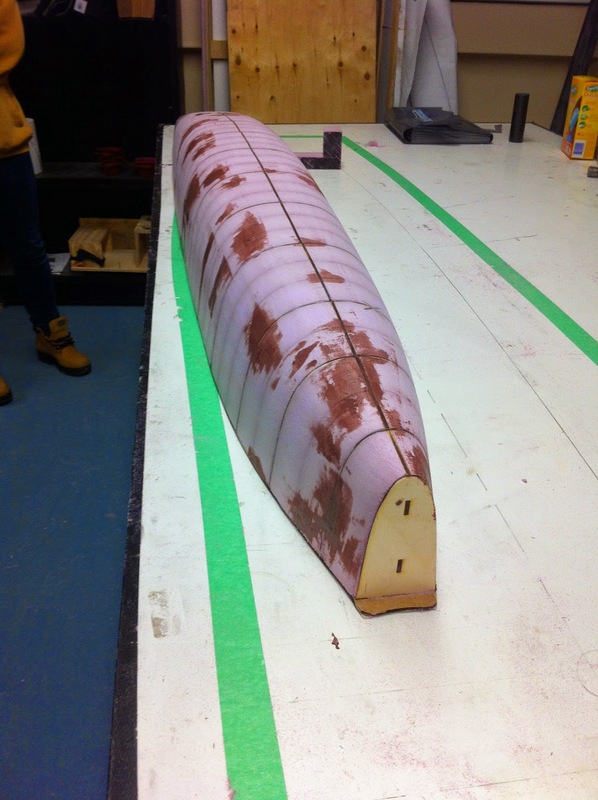 The construction of the hull is already underway with the mold almost complete. 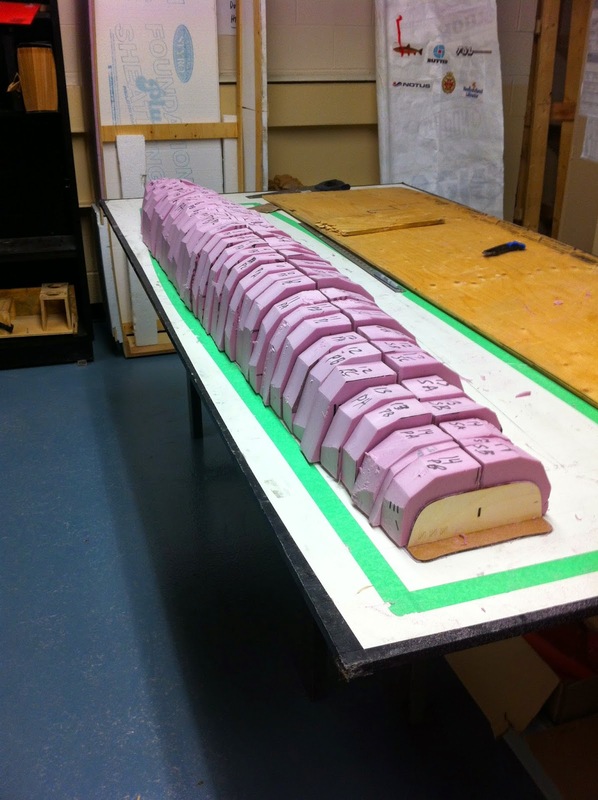 The bulb is in its beginning stages of construction and parts for the new rudder are being cut and sanded to size.